Penn Volleyball placed third in the Plymouth Tournament. The Kingsmen beat Lake Central 2-0 in the third-place match. 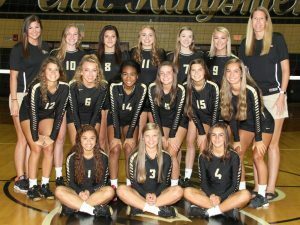 Penn beat Alexandria Monroe 2-1 and New Prairie 2-0, but lost to Valparaiso 2-1 in pool play. The Kingsmen were led by Rachel Hickey with seven aces, and Julia Beers with another 5. Rachel Hickey also led the team in digs with 60 followed by Sophia Cruz with another 36. Alyssa Torres and Italia Fields dominated the nets with 25 kills each thanks to Naomi Willis with an impressive 77 assists.